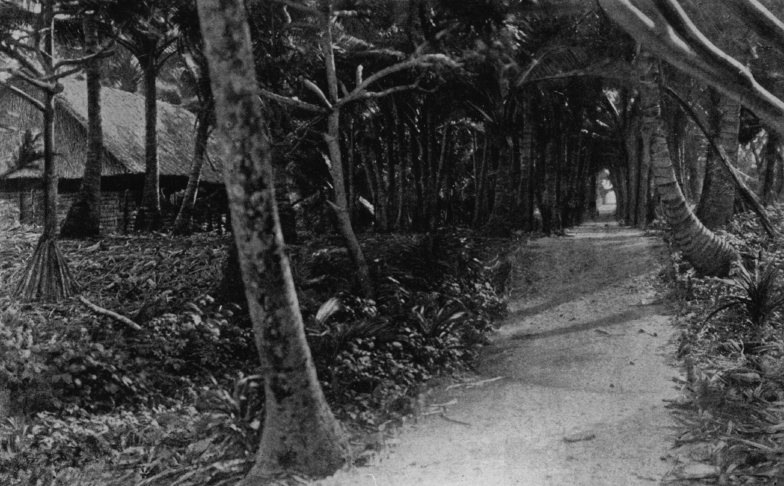 Track leading through the interior of Jabwor, Jaluit. Located near the hospital. Note the well developed former shorelines showing up as wavy-like elevations on the track..